Need a sport related gift? 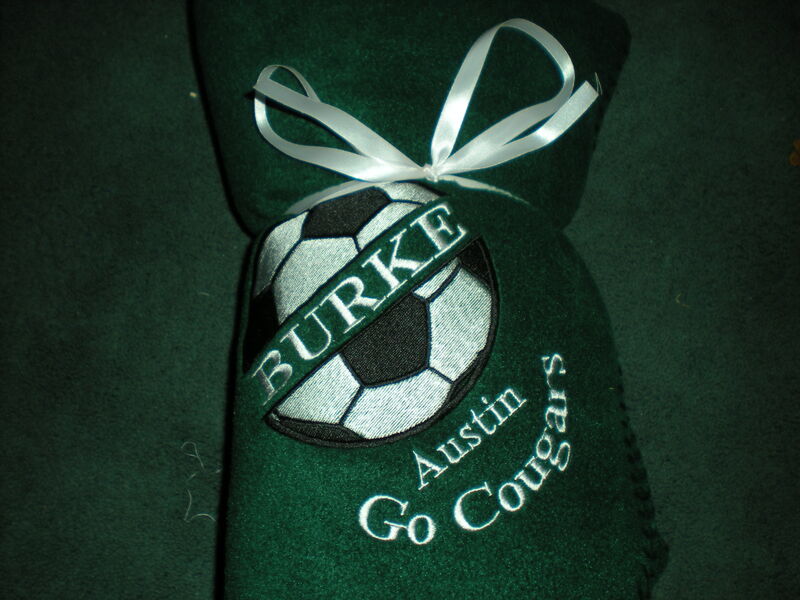 How about a quilt, fleece blanket, tote bag, sweatshirt, and picture, all embroidered and specifically customized for you. Need some ideas for a fundraising event. I can help. 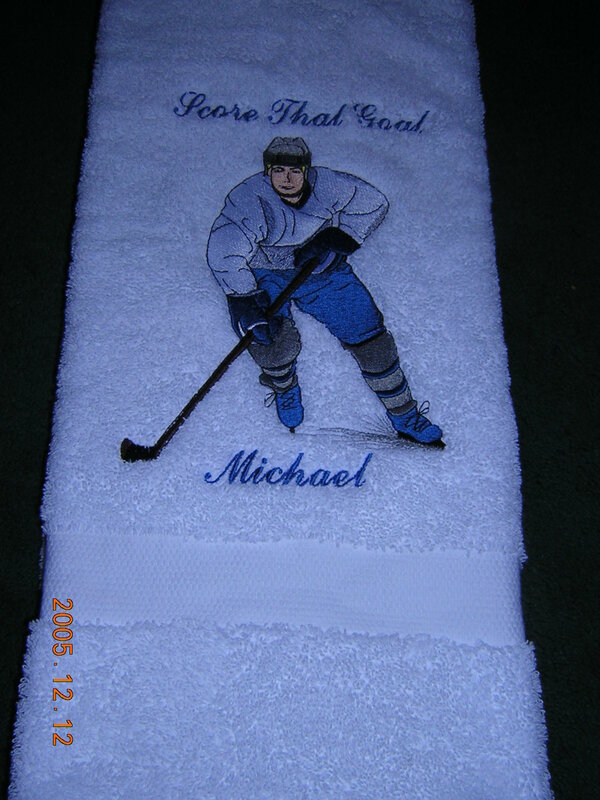 Some examples are golf towels, corporate events, school auctions, etc. The items are very reasonable priced and will all be quoted to you with a picture prior to being produced. Please see just some of the samples. There are too many to list here, so please send my your ideas. Note that any gifts can be sent with a card and wrapped. Cost will be extra for this and supplied upon request.